Dog Training Instructor Classes offer a range of instructor classes for puppy instructors, beginner to advanced obedience instructors, agility instructors and protection instructors. These courses consist of practical and theory. 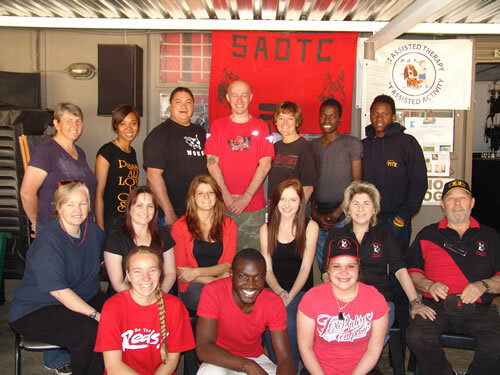 SADTC is also global, training its first international learner Instructors during September 2009. We have had enquiries from the U.S.A, Singapore, Jordan, UK, Australia, Sweden, Zanzibar, and many African countries to do this course again. There are also many from the whole of Africa, including Botswana, Uganda, Nigeria, etc. 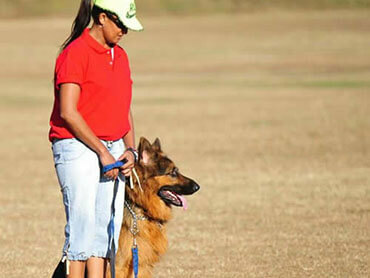 Dog Training Instructor Classes are aimed at teaching humane methods to improve the dog and handlers lives. 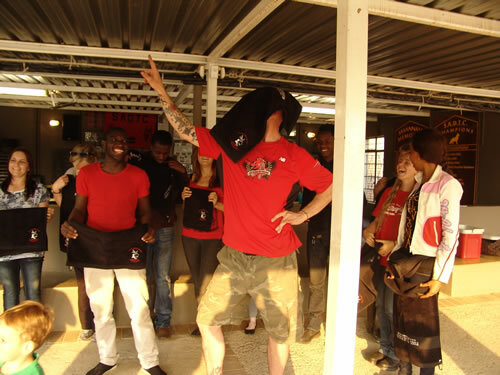 We have two of the highest qualified instructors internationally to our credit, (Chris and Christine) and have been complimented by international Instructors from the Geneva Convention, U.S.A., U.K., Holland, and Sweden. 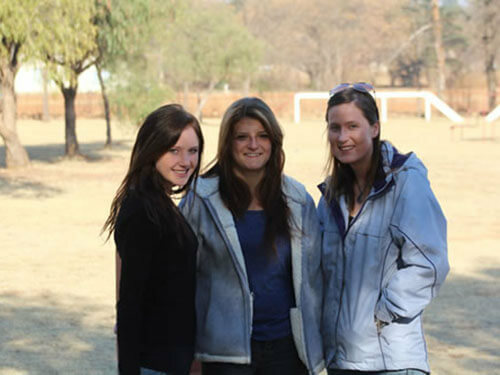 We work closely with many veterinarians from all over S.A. and professors from Onderstepoort University. Chris and Christine are both qualified canine behavioural consultants. 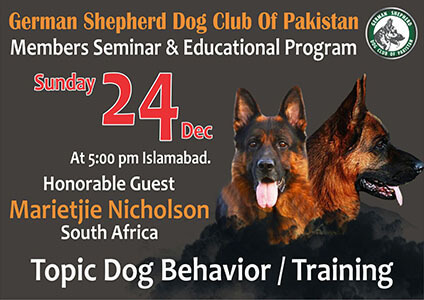 SADTC holds seminars on new and different spheres of training, from puppies to protection and more. 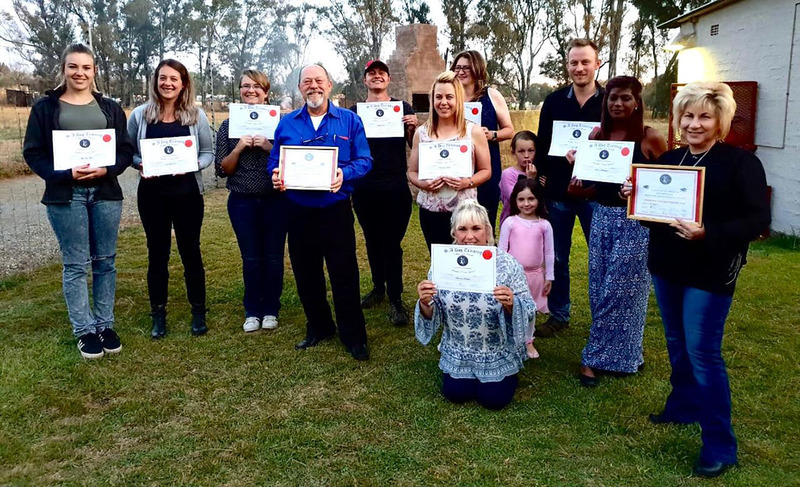 – Chris has given talks locally and in the U.S.A.
Biata is qualified to train puppies and offers a course for junior puppies, she has introduced a new course for the pups that are promoted from pups 1. They have so much fun in her class that it makes the handlers with older dogs want to join in. But this is just for slightly older puppies. There are photos under the Gallery. Come visit us on a Saturday morning and see what we do and how much fun you can have with a pup or older dogs. Many of our handlers state that they don’t know what they used to do on Saturday mornings and how much fun they missed out on. 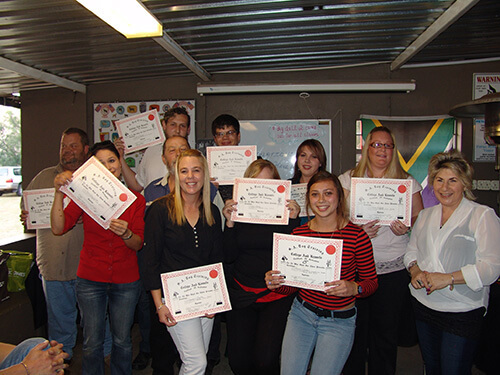 Dog Training Instructor Classes now global. 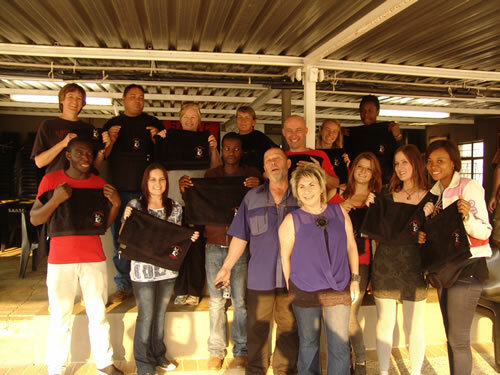 Our first ever International training course was launched in September, 2009. 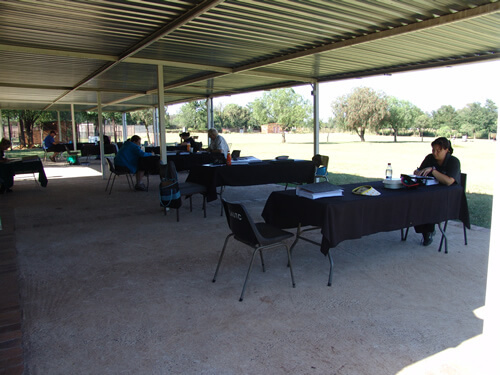 We had a qualified instructor from India, and learners and behaviourists from Botswana and South Africa as well. 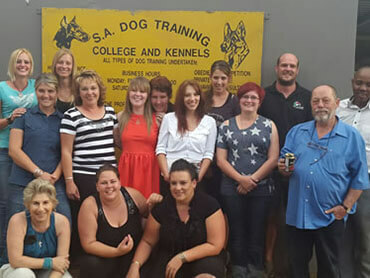 It was with great satisfaction and excitement that we held the 3 week course at SA Dog Training College, as it was a true work of art. It was the first of its kind we offer and was extremely comprehensive. This is not only for complete beginners but also for people that want to enhance their capabilities. The feedback and participation was exhilarating, so we have decided to make this a permanent course we offer. We have included success stories about this course for you to peruse. We have now had enquiries from the U.S.A, UK, Australia, Sweden, Zanzibar, Singapore, Jordan, and many African countries to present this course. Feel free to contact us if you would like more details about the course, as we need many dedicated, humane instructors all over the world. Congratulations to those of you who already work with these methods. 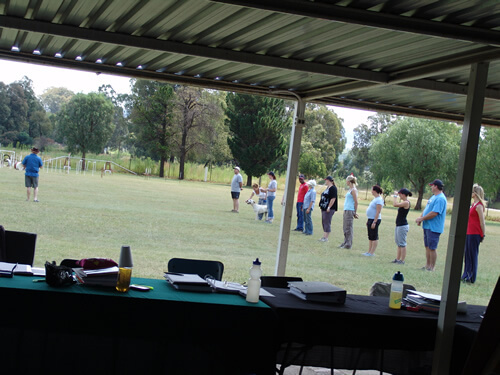 Even if you are a seasoned instructor/behaviourist this course will be beneficial to you. What a compliment to be teaching people from all over the world and receiving the feedback we did. What an inspiration to us! Bookings are limited, so book early to avoid disappointment. 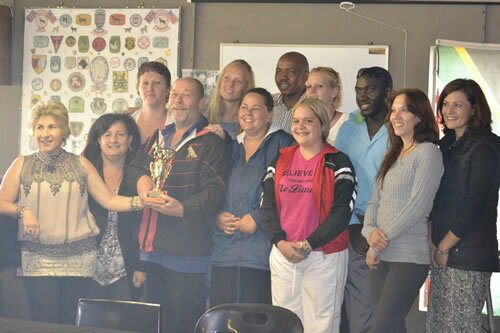 Thank you to SADTC for being my support over the years. 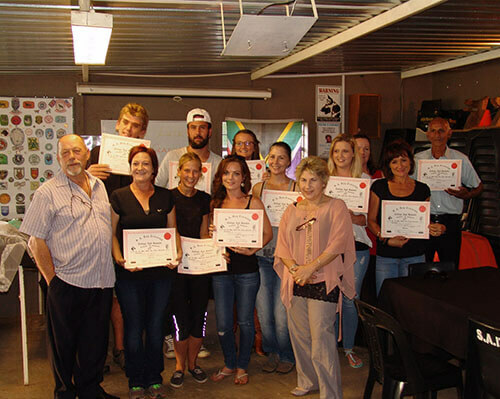 I waited for a year for my turn to attend the Instructor course, and it certainly exceeded my expectations. 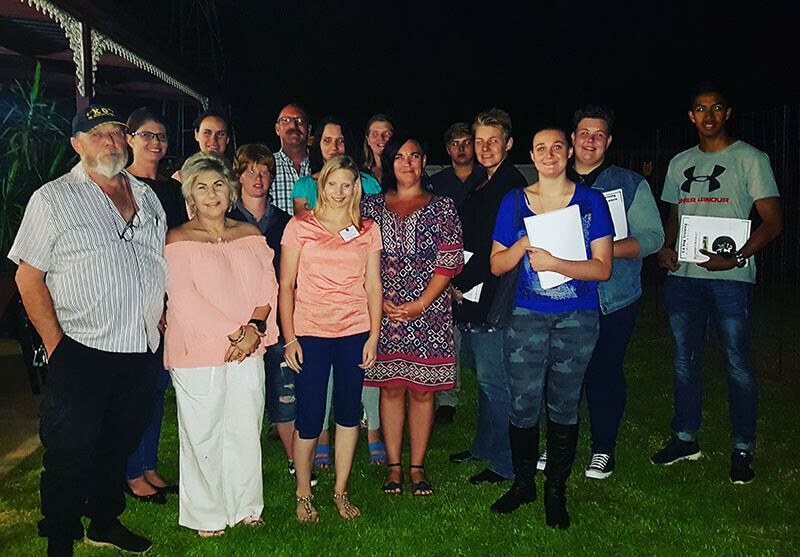 There was a perfect balance of theory and practical lessons which ensures an all-round and holistic understanding of the course content. In an age where competition for business and intellectual property is so cut-throat, I realize the true honor of being be trained by the leaders in the industry. SADTC genuinely put the dog’s lives first, which is proven in the fact that you so readily share your knowledge. I am super proud to be a guardian of your legacy. I am now, and will always be, a brand-ambassador for the life-work of the SADTC family. Hi Chris I hope you are well. Good evening, I am arrived in Madagascar, little bit tired but I’m ok, thank you for all, it was a very amazing experience for me and it is because of all of you, Thank you Chris, Christine, Biata and Ayla, I hope that I will come back very soon, Thank you, I will teach my dog and always send news to you, be blessed. I loved being with everyone on the course! I miss it so much. Loved being between like-minded people. Would love to be part of the 2nd and 3rd course. I do hope our plans line up to be back in time for that and that there is still space for me. Being back home is great, it’s amazing how you realise how the course changed me and my outlook on life. I can’t wait for level 2 and 3. The course was absolutely amazing it has really changed my life and I am so sad that I do not stay closer so I could be there more often. Your teaching methods were great and flexible which helped me a lot and tied in well with the practical side of the course. Christine is amazing I learnt so much from her in such a short time and I am sad our course has ended. Now that I have seen that side to life I am struggling to adapt back to the other side of life. All together I think you two have put a lot of effort and time into the courses you hold and its definitely appreciated and worth it. It is very well rounded and beneficial. You guys really do feel like family to us and I am grateful for all your help thank you very much and keep well. The course has exceeded by far my expectations. The course content (theory and practical) that are covered is intense but super interesting and I have learnt so much in a short amount of time. You, Christine and Biata are excellent and don’t mind spending extra time to explain something more then once. Although we are a fair amount of learners your also managing to give us all individual attention and support. Thank you. In short the course has change my life. Change the way I think and interact with dogs. It feels that I think more like a dog now,were two weeks ago I was the a%#hole at the end of the leash(like you say). I must still learn a lot and will with you. You will come highly recommended by me, to everyone that loves dogs and have heart. Coming here was a spur of the moment decision after months of researching and putting it off. With the benefit of hind sight I now truly believe this is where I was destined to be. I want to thank you and Christine for the dedication and love you are showing towards animals (and people), you are such an inspiration and true beacons of hope. This course has made me love dogs much more than I ever thought would be possible, it has opened a new door into a new world full of new adventures, it also opened my eyes to the fact that somewhere in life I lost myself but at the same time I realised who I want to be and I know that once I leave here I will be a new happier version of me. I can’t describe how much respect I have for you and the only way I will ever be able to thank you for touching my heart and my life is by going out there and change the way people think about these lovely animals. One thing you said that stuck was “you are the dogs last chance, if you mess up the dog will die” I decided that if I am the only hope I will never give up, as long as you have hope, love and patience all is not lost and quitting is not an option the reward of a happy dog is worth it all. I want to wish you only the best and I hope that many more will be touched in the way I was touched, you will forever be a part of me. I love everything about SADTC and feel very privileged to be close by so I can come and train and gain experience from the team. It motivated me seeing you guys in action. I was very impressed, and saw the different ways of teaching. I love the passion, the course was very instructive and instructors very professional. The lecturers were very professional, and the differences between them was very helpful. I loved every minute, and enjoyed the family dynamics. Chris & Christine are amazing presenters. Hi, this is Rapelang Moso Litabes brother, we have recently opened a dog training school and we are achieving great success at the homes we consulted, I would personally like to thank you for the training you equipped my brother with, I already knew enough about dogs but he broadened my knowledge and experience. Marcella here I was a part of your level 1 course that happened in September. I’m now working from home so I’ve been busy working with my own dogs! So far so good! I’ve already got family and friends asking me to come work with their dogs so that’s good. I’m also very keen to join the level 2 and 3 course so I’m going to be saving up this year for that. Hope you and your family are well and just know I’m still very grateful for all you guys taught me in the level one course. I completed the Level 1 Instructor Course end August and I can assure you it was an eye opener! The more I “thought” I knew about dog training the less I realized how much I actually knew- and put into practice. The first thing I did when I returned home was to apologise to my 3 German Shepherds! I am currently running 2 classes on Wednesday but the dogs are quite young- mostly under a year and owners only looking for basic obedience- they will all be doing their CGC Bronze in November. If you are looking to both becoming a dog trainer instructor- and understanding dogs in general I would urge you to attend Level 1. I have already booked my slot for 2 and 3 next year. The theory as well as practical experience you gain is something you can only grow with, it really was a life changing experience. Even now if I have a question I know that I can approach Chris, Christine or Biata and they are always more than happy to assist/ guide. I do hope that I have given you food for thought and answered some of your questions. 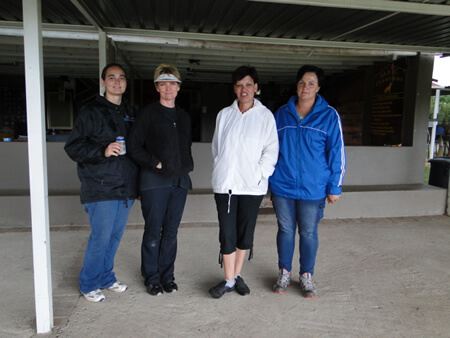 Great people doing awesome work assisting owners to get the best out of their dogs. Our lives have changed drastically since we did the training. Such wonderful people doing such a wonderful job. Thank you Chris and Christine you are awesome. 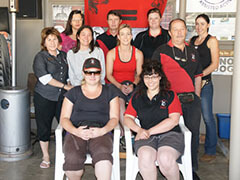 Very good facility totally focused on all the aspects of dog training. 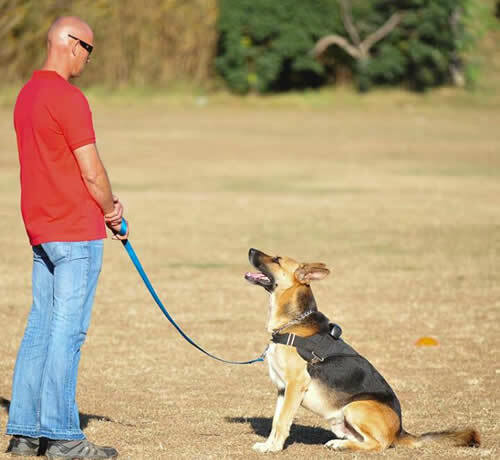 SADTC is “real life” dog training, real dogs with different behavioural challenges being patiently modified by changing the way the dog thinks. 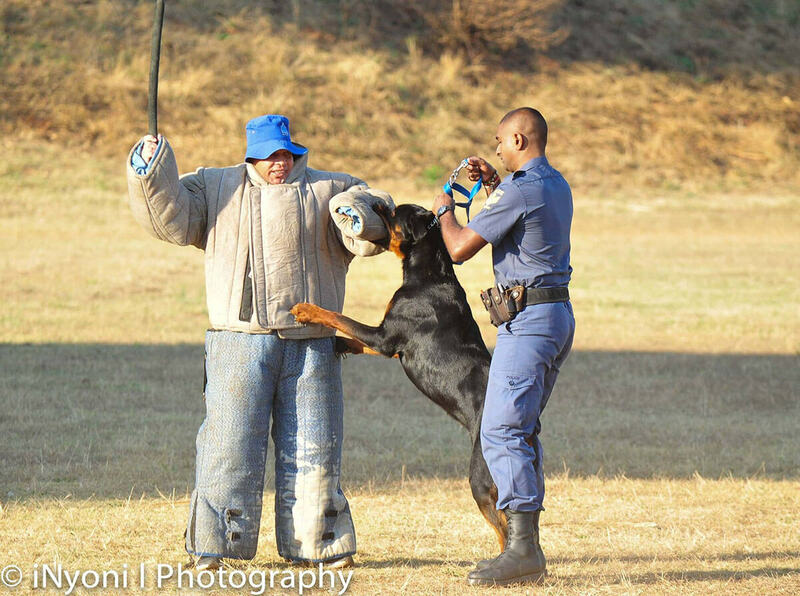 Excellent protection training, Because of the extremely qualified trainers working both dog and its owner. Although quite verbal at the awards evening I didn’t express enough my thanks for the 2 weeks of Level 1. It is very true that I am not sure that I can be away from my amazing husband, Andre for so long again but seeing the wonderful relationship between yourself and Christine definitely made it easier. There are a few things I will never forget and the first is that you can always teach an old dog new tricks. Here I am referring to myself. I did a job, got paid and went home day after day and year after year. It was only after I had my stroke (and was told I would not walk again) that I decided to follow my heart. After the stroke I am prone to panic attacks but for the entire time I was training with you I never had one! I tried to “hide” the nutty side of my personality but I think you saw right into (not through) me with the man work – thank you for letting me be me. The course did not only meet my expectations but exceed them. Thank you. I have already apologized to my dogs for not thinking like a dog. Christine, I would like to thank you, for explaining what we were doing and why. Your patience but at the same time, inner strength is a true blessing. Chris, your passion and dedication is astounding. I have heard you referred to as the best puppy teacher. This I now know is true but watching you teach you are a role model for all dog owners. Biata is that one person who crosses your path and leaves a stamp on your soul. I have said it before but she is the best of both you and Christine with a ‘something’ extra. Thank you for opening a new door in this journey of life. I cannot believe it has already been a week since I finalised the course with you. I have been apologising to my dogs for my many mistakes and am working with them every day. I wanted to just thank you again for a really great experience. I have learnt so much. I will be back for level 2 & 3 and already look forward to that. I wanted to also thank Romayne. She is quietly behind the scenes and has been absolutely wonderful to me. Lastly Biata – you have been such an inspiration too, I wish I had spent more time with you but maybe next time. That all for now – lots of thanks and praise – you are all very special people and I am happy our paths have crossed. Morning, thank you for the knowledge I gained in your school about dogs and their behaviour my dogs are different now within these few weeks from SADTC and we doing very well because I never thought grown dogs knowing nothing can learn basic obedience. Now I’m in a process of my kennel club and dogs training school. We are home safely. I just wanted to thank both of you again for everything you did for P… He’s had to deal with a lot and was really on the verge of giving up before he met you guys. You’ve given him a shot and a way to live his dream. I’ll always be grateful to you. We’ll speak again soon. Many thanks for a great Instructors Course. 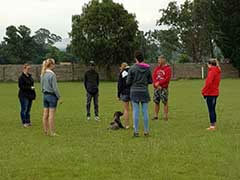 The two weeks spent with you as stated by one of the other students, “this was not just another dog training course”. All the information that you supplied on the course will be very helpful in the days to come, as a reference book and a guide to solving any problems and difficult challenges with people and their dogs. As stated during the course I intend using the course material, and the practical knowledge obtained, to encourage people to enjoy their dogs (disciplined in obedience and trained) so that the puppy and/or dog will not just be given away or put down. The CD that I received is out of this world, the information on it must have taken many hours of hard work putting it together, thanks very much. Once again thanks for all your help and patience. 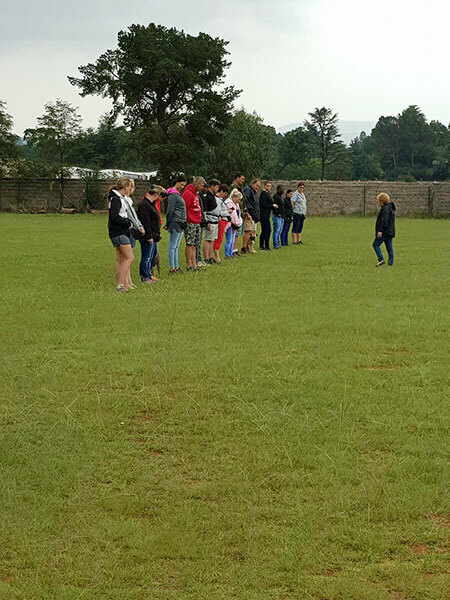 Ek mis julle en die training baie wens ek kon ook elke week daar wees om saam met julle te train. 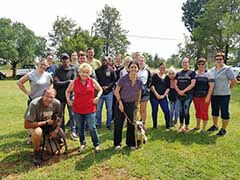 Dit was baie sleg om weer te begin werk al wat ek kon aan dink is die honde, die sadtc club en al die vriendelike mense daar. Het n paar aande gedroom hoe ek march en about turns en left turns oeffen. Wens ek kan eerder net met honde werk, maar ek sal nog daar kom eendag. Stuur groette daar vir almal. I’m doing fantastic. My pet sitting business did amazing this year and the clients asked me to work with their dogs a bit as a trail run for training as well. And they all want to continue with training when they came back and saw the results. I also worked with some dogs who had behaviour problems and the people were so thankful and impressed with the results when they got back they even gave me a bonus. It’s so amazing because all of the new clients now are referrals from those clients I had over nov-jan.
My parents got me a great canon camera for Christmas for many reasons. One being that I want to bring pet photography into the business one day when I have some more experience. My dad’s the expert photographer so he will mentor me and I will take some courses. But I made calendar for my clients with a few photos of their pets on which I took while I was looking after them. The training school will start when my partner returns from holiday. But I’m still taking on private consultations. I am starting my classes on Sat 12 and on the 22nd I will have a third class starting with 5 new dogs so that will be 3 classes on a Sat. All 14 people have taken another month which is great, I must be doing something right. We have fun but think I must get a bit harder as i would like us to all go to The Cape Handlers Association when they have a day open to clubs. I don’t want to look like a idiot and should expect the best from them so I should give my best. So from now on 80% hard work and 20% fun. I met up with Colin this morning, he is assisting me with the rehab of a foster dog I have taken in. She is a beauty. She was hit and dragged a distance under a car when she was younger, so her pelvis was shattered and she has only ever spent her life (1 year old) in the vet`s hospital centre, where she is currently looking for a new home. She also hasn’t been exposed to leash training and prior to this morning with Colin, she didn’t want to walk on the tar roads. He has only good things to say about your course and if I thought I was excited before this, now I am super excited! No words can ever describe how profound this course was to me. You were right when you told us the first evening that this will not only teach us about dogs, but also about humans and ourselves. It has made my love for dogs so much stronger and given me hope again. For the first time in my life I really feel like I have achieved something. It has renewed my faith in me and my abilities and taught me things about myself that I never even knew. And for that I will be forever thankful. Meeting “dog people” has shown me that there are still good people in this world. And at a time in my life when things were tough, I met a group of people who walked straight into my heart. I honestly have never met 2 people as passionate about something they love and do. To Christine, thank you for all the support and motivation, inspiration and pushing us to be the best we can be. To Chris, thank you for sharing your abundant amount of knowledge and wisdom. And yes SOMETIMES “harder is better/easier”. Thinking like a dog has changed my view about the world so much and things make so much more sense now. However I do think that you should make it a requirement that the students should be able to differentiate between left and right. If not, do list it as an advantage that by the end of the course they will be able to. I certainly can now. To Biata and Darryl, thanks for all the laughs. I hope that you will continue your parent’s amazing work for many years to come as I can see that love for the dogs in you too. And Darrel, next time have some mercy on the poor instructors to be. To the other instructors at SADTC, it was a pleasure to meet you and inspiring to see what the products are of Chris and Christine’s work in terms of instructor training. I cannot stop telling people what an amazing experience it was for me. I will treasure all the moments forever. It definitely was hard work but every bit of it was worth it. I love challenges and this certainly was a challenge. I have always been a dog lover and have been passionate about working with them. But now I am in awe of them and their world. I will definitely be looking forward to the advanced course and intend to drop by when I can to say hi. So what from here? Well, I guess it’s one letter of the alphabet at a time. But Z would be to make a difference in this world not only to the dogs but to people through the dogs because they can do it so much better than we humans can ever wish to do it. This course was yet again proof of how dogs changed my life. I see it every day when I look in Logan’s eyes too. I will continue to refer people to you guys and spread the word of what you guys and the dogs can do in their lives. Thanx so much again. I hope all is well there and that I will see you guys soon as I am already missing you. May God bless you, because you and the dogs were a blessing to me. I am so excited, I have 4 Labradors in training, had their second session this week. I have to do it a bit different, I go to the peoples home and do the training there. Another lady phoned me with 2 pointer pups and a weimerana 1 year old. Thanks for the lead. Was with the Rottie on Sat. Went well. He is very dominant, but I got him sitting and down in a couple of min. They are taking 6 sessions of home obedience. Also had appointment with Cocker rescue, beautiful dog, got him nice and calm at the gate, opened it and walked him out. Owner impressed. I am not joking but she said the dog must think i am God as he was being so good. They also taking 6 sessions. They had taken him to (name withheld,) and they could not control him in class. Thank you for the referral, he did contact me and is going to call early in January to organise joining a class. My current Saturday class is going very well, I have a 2 year old lab who pulls his mum off her feet etc, we have been going 3 weeks now and he has already settled, she said her husband can’t believe the change in him. I am thrilled at this! Its been fun and a good intro to the real world I think. I hope you and the family are all well, please send my regards. Thanks again for everything you and Chris have taught us, it will never be forgotten. See you soon. Once again thank you for everything. Words can’t express my gratitude for everything you and Chris have done to help me. I first want to thank you because of your efforts I got someone who’s going to help me with training shila we need more people like you guys who care in this world thank you from the bottom of my heart may God bless you. I’ve hit the ground running at work and already have 2 bookings for my first class. 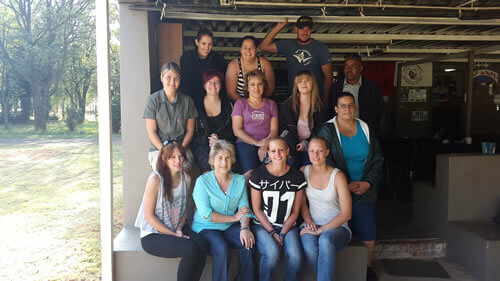 I will be starting classes in Centurion on a Saturday morning at 10.30, our first class will be Saturday 29th September. Thank you so much for everything I am so excited to be going forward into this. I spoke to Tiva’s owner as well on Tuesday and she said she was will call me in a couple of weeks, and said that Tiva is doing well. Will keep in touch, thanks again and hi to the family. I really feel like a Jedi Knight about to take on the evil Empire and their vast armies of wrongly trained instructors and untrained owners. On a serious note I would just like to say a most humble thank you to the both of you for the most wonderful life changing experience. Busy with name and have spoken to mate in the UK who is going to design my web page and help me with a flyer to advertise at the vets etc. Very excited to get going, thank you. This dog instructor course was the best! See you next year in October 2013 for the Novice course (is this right?). It’s the next level as I understand. Well Done all fellow students! It was time well spent! Thank you Christine and Chris for sharing your knowledge with us and all those who participated. Will see you soon! Well done to all the student instructors! Congrats to all the fellow students and our fantastic instructors for an amazing course!! 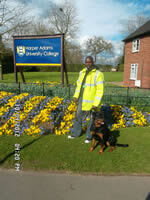 Michael completed the Dog Instructor Course with us, and is doing very well in Nigeria. Thanks for the response last night i was on such a high. It all went well and i think i got all the info i need to help them. They have agreed to training with the intention to carry on indefinitely. Very interestingly one of the dogs has a serious case of Coprophagia. They were very impressed and I felt very good. Thanks. The dog chews at peoples feet, jumps and barks. They said he would do this for hours at a time. Not even 5 min while we were talking and me watching and working with him, he lay down and slept. It works. They both want classes at home and I have agreed as they live within 3 min of me but we will all meet for a class or two later as i get more clients for distractions and socialization. They both starting next week Thurs and i should be seeing another client on weekend whose dog has separation anxiety. 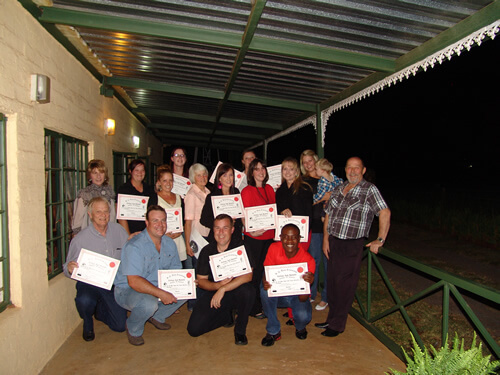 I have nothing but GREAT things to say about the Instructors Course – I can guarantee that you will not be disappointed! The information provided is astounding – everything you have ever wanted to know (theory and practical application), and much, much more, is covered in the Course! Chris and Christine have a lifetime of knowledge in this field and they will always be there to help you and push you to strive further! They will never undermine your ideas or embarrass you in any way – they are open-minded, love to think out of the box, and fun to be around and learn from! I have been a handler at SADTC for almost 9 years – my mom and I have been training our two adorable X-breeds (Charlie and Rose) there since they were 6 months old! They loooove going to training – they get us out of bed at 6am every Saturday morning (even in winter)! I completed the Instructors last year March, and have been an Instructor at SADTC since last year April, and I am addicted to it! 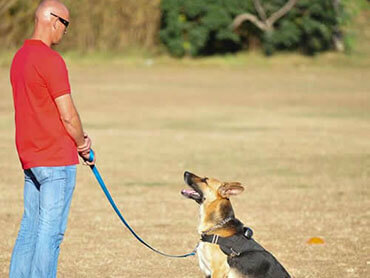 Dog training is what keeps me going – without it I would be a very miserable person. I studied to be a Zoologist, but if I knew then what I know now, I would never have gone to University, I would have made working with dogs (and a few other animals too) my full time career! So, if you have a passion for working with dogs you will not make a mistake by doing the Course! I just want to let you know that I agree with you that you have the best Instructors. 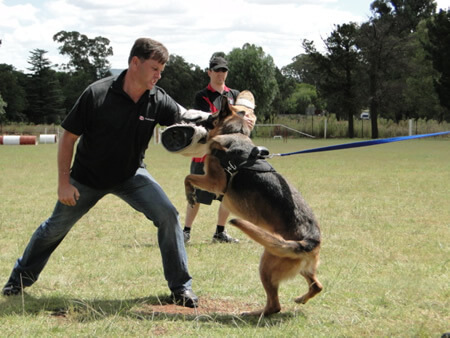 I really learnt a lot from Simone and Mark while being a handler with them. Elaine has taught me a tremendous lot while I was assisting her. 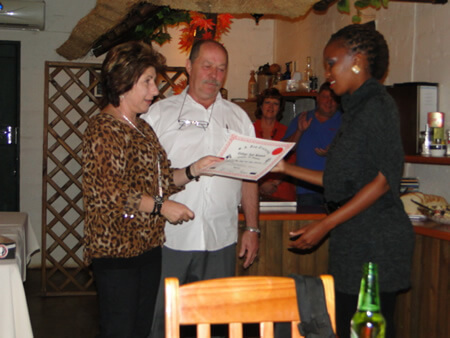 I also learn new things every time I am at SADTC just from watching Instructors like you, John and Oom Johan. Now that I am a handler in the puppy class with Chris I also learn so much more. I know that every now and then we encounter bumps in the road but I would like to congratulate you guys on the absolute stunning job you are doing with and for the dogs out there and want to encourage you to keep going strong. 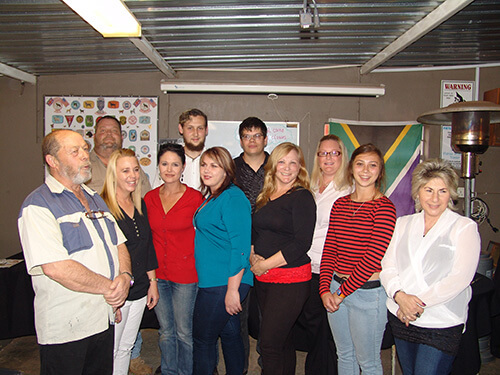 As ‘n Afrikaanse persoon van die Noord Kaap skryf ek die terugvoer verslag in Afrikaans. Die instukteur kursus beveel ek ten sterkste aan. Enige persoon wat ‘n passie het vir honde en om dit ‘n lewenstyl wil maak, beveel ek aan om die kursus te doen. Die werk en opleiding is uiters professioneel. Die standaard is hoog en baie interesant. Ons het geleer en lekker gelag en die tyd geniet. 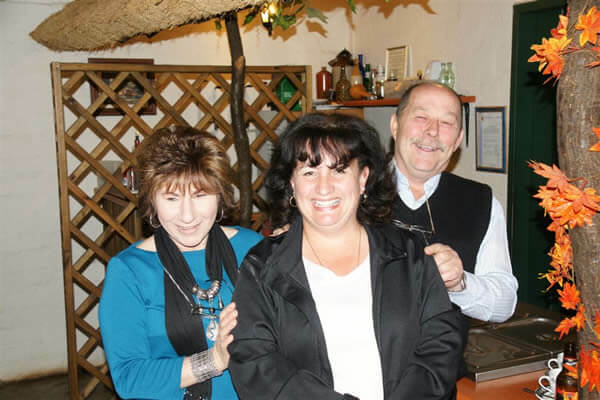 Magda se gastehuis beveel ek aan. Die kos is heerlik. Dankie aan Chris en Christine. Julle is Wonderlike hondemense. How are you doing? Thanks again for a great course; it was a real confidence builder. I am making plans to put up kennels. Can’t wait! As you might have read from my blog, to me the course is still very relevant and I feel that it is the best course that I have done so far. 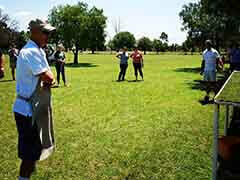 I took my time to visit several dog training grounds just to have a feel and see their training methods. I can assure you that SADTC is the best. I have not opened any dog training centre at the moment, but I am training my own dogs and my friends’ dogs and the results have been wonderful. I have not added anything to my knowledge but all what you taught me at the college and so far so good. The only thing that I have to do is to come for a refresher course or training and that will put me in a better position to then open my own dog training centre. As far as what I learned at the college is concerned, I am happy and will gladly make recommendations where I feel something has to be changed or done in a different way. Thank you so much to you and Chris for everything and mostly for your kindness. Coming over was the best decision I have ever made. I will keep in touch. It was good to meet all of you and some of the spouses. What I really love is to see how you guys are just so happy, keep it up! A few words to express a big thank you for your understanding and it is humbling to meet people that find the time and humanity to care. I can assure you, that Jan only says the kindest, and also the funniest things about all of you, that includes the ‘Adams family’ and the Magda clan. The way all of you embraced him is truly something that shows the calibre of the human beings that you are. My best wishes to all of you, I hope you will be blessed in the same way that you are a blessing to animals and your fellow man. Good news is that Bonny is doing very well after the instructor’s course, in fact so well she has been to further training and she will be going to America – Ohio in June to go do some more. she says she got govt sponsorship. as far as training goes she says so far she is only working with her 10 or so dogs. Anyway, we are meeting tomorrow morning and going to chat a little bit and share what we can. I want to see her babies as well and I’ll go show her mine. 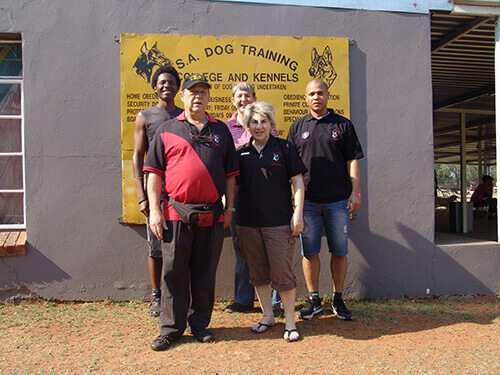 We (my wife and I) went to the SADTC with high expectations but were amazed by the level of instructing we received, firstly they care for the dogs and understand dogs to the point where it amazes one. Atmosphere was relaxed and Christine (little Napoleon) goes out of her way to ensure every instructor understands what is needed and relates to each persons individual level so everybody understands what and why they are doing things. Plenty of theory helps one see dog training more “holistically” and then the practical helps you relate to the theory in bringing it all together. “Keep a short leash not a tight one,” still resounds in my ears – thanks Chris, many a handler is going to get sick of me repeating these exact words. I spoke to Jan a bit earlier, he had a great day and was a real chatter box, and he loves the dog that has been allocated to him for tomorrow. Let me tell you something, I think you have launched Jan towards his purpose in life. I intend enrolling her at the South African Dog Training College as soon as all her inoculations are done. No trial by error here, I want her to be trained where I learned all that I know today as far as Dog training is concerned. 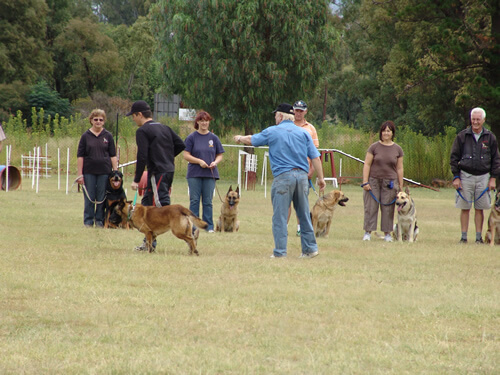 Well Eden Dog Training is going extremely well, we are ending off with a dog fun day-then closing till next year. My first adult class consists of 2 German Shepherd, a pointer and a Labrador that is my evening class, well every handler started by being pulled all over, after 3 to 4 lessons there was a huge improvement. Growing up from childhood having dogs which are not trained and still having the consistency of caring for pets, I must say, SADTC has given me more love to dogs than any other programs I watched on TV. 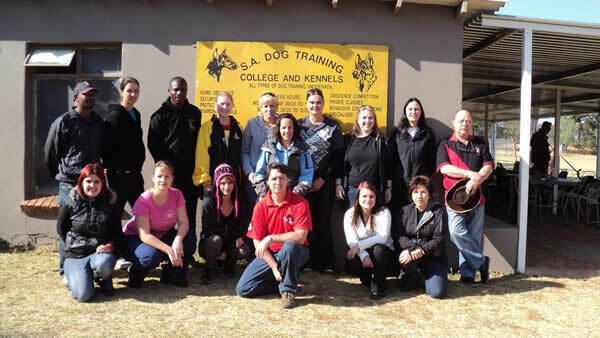 I’ve never handled or trained with dogs until I registered for an Instructor course with SADTC. I’ve learnt what dog world entails and every dog owner I meet, I’m trying to coach or share my experience I received. At the moment I preach about dogs to my friends and hope to educate them how to treat pets, not just only dogs. I’m considering starting a non-profit organisation in Mamelodi for all the dog lovers, to mostly, educate and demonstrate that a dog is man’s best friend. 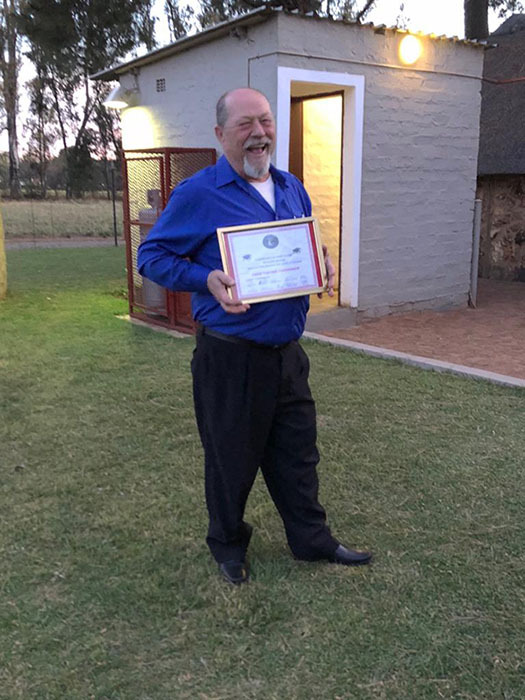 Being at the SADTC and seeing what they do is just a positively overwhelming sight, but taking the actual instructors course with them, getting first-hand experience was for me priceless moments. 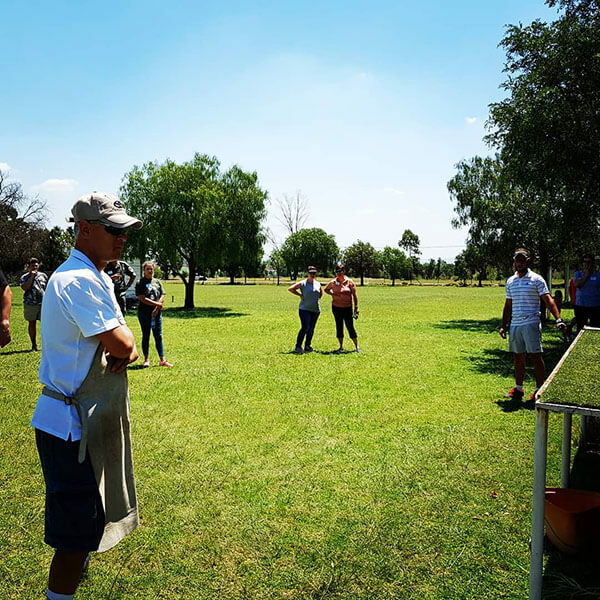 One thing is for certain, the more you learn about dogs, the more you want to learn and with Chris and Christine as your instructors you cannot go wrong. What I knew before I started on the course was the more you work with dogs the more experience you get. What I learned during this course and completing it, was extremely valuable to me. I learned the more I work with the dogs the more I can learn from them. It taught me not just how to understand and help train them, but also how to apply as best as I can, their way of looking at life, into my way of looking at life; simple, uncomplicated, always forgiving and full of love. I just want to thank you opening a whole new world of opportunities for me. The instructor’s course was so much more than I expected. I loved every second of it. Thank you for sharing all your knowledge and experience with me. I will definitely be back for the advanced course; I’m really excited about that. I have a very special place in my heart for the both of you; you really made me feel part of the family from the first second of meeting you. Please send my regards to Oom Johan and his girl Luna, and big hugs to Misty, the gorgeous husky girl – I miss them so much. I joined in with the dog training club in my area (the lady is also Christine) and I love every second of it. I also had a job offer at a vet, but I’m not ready to give up the beach yet, but I’m sure something similar will come up in my area in the near future. South Africa is blessed to have warm, loving and inspiring mentors such as yourself and I’m sure that you will move many more mountains for dogs and dog lovers in the future! How are you and the family? I am well and got loads of good news to share. It was tough finding grounds, to start off, after much asking around a hotel in the center of town has given me the go ahead to use their grounds, and payment is minimum wow, so we have a bar, restaurant, loo facility and fenced off parking bay, etc to start training. So in short my club is Eden Dog Training Club, as for the other club it has dwindled away completely with 2 ladies who have other commitments. But they still function. My old club in C.T have 2 fly ball boxes for me and are adding training manuals, they not using them, just little jumps needed. Have 5 new puppies without advertising, so yaaa that’s me in a nut shell. Hoe gaan dit daar by julle, hier gaan dit baie goed. Ek wil net vir julle laat weet dat ek die kursus van September 2011 baie geniet het. Ek het so baie geleer by julle! Die kennis wat ek by julle gekry het het reeds handig te pas gekom. Honde wat ek afrig vorder alreeds baie goed. Baie dankie vir die geleentheid wat julle vir my gegee het en ek kan my drome laat waar word. Baie dankie vir julle gasvryheid ek sal julle nie vergeet nie. To SADTC September 2011 Dear Chris and Christine I want to thank you both for your input into my life; you have given me a new vision and inspired me to be a better person, handler and instructor. With your passion Christine there is no doubt that any of your students would fail, as you only know how to make people succeed, with their dogs and without. Your no nonsense attitude gave me the courage to be able to say no when it is no, yes when it is yes and to be firm at all times. Your approach to all your members was one of seniority, patience and guidance. You were able to see the cracks in my life and began plastering it up, with determination and go for it attitude. You gave me confidence in my ability to instruct people with their dogs. I miss hearing your voice, and miss your club, as they are amazing people in the dog world. You have a fabulous team. A team is only as strong as their leader. You both have a awesome sense of humor and the college would not be where it is today without you both Chris you wear no mask and call a spade a spade, people like you are hard to find. Your slogan think like a dog, will always repeat itself in my head. And people check your attitude, yip that’s right now you thinking like a dog. There are few people who left foot prints on your heart forever they impacted you to be a better man, and gave you understanding into the dog world, which you shared with all your students, your generosity with your knowledge will go a long way to saving many of dogs. Once again I would like to thank you and Chris for the stunning course. I’m much more observant when watching television with dogs in the program. I would do the course all over again, any time!! I am really looking forward to the advanced course!! Ek wil net baie dankie se vir als wat julle gedoen het vir my in die 2weke daar. Dat jul ons gedruk het om net ons beste te gee. Ek kan nie glo dit is verby nie en wens ek dan terug kom. Dit was als die moeitewerd en sal graag weer ‘n draai wil kom maak. Ek kan nie wag vir die opvolg kurses nie, ek begin sommer nou as spaar. Ek het verskriklik baie geleer en se weer baie dankie vir al julle hulp, belangstelling en liefde. SADTC, based in South Africa, is THE Dog Training College! Although several other such institutions may exist, SADTC should ALWAYS be your first choice when deciding to either train (or board) your dog/dogs, or when considering a career in dog training! Although I may have attended University (for more then a few years) and received a few degrees in Zoology, I always felt that the more practical component was lacking, not to mention the shortage of enthusiasm displayed by many a lecturer. Unlike University however, that was most definitely NOT the case when I enrolled for the Instructors Course (Basic Home Obedience) presented by Chris and Christine. I am happy to report that this course far surpassed my expectations!! Chris and Christine are not only experienced presenters, but their enthusiasm is positively contagious! The study material presented to us was comprehensive, well laid out and easy to understand. 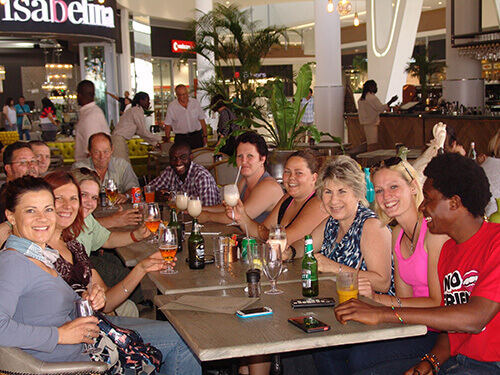 The atmosphere was always relaxed and the course was presented in an informal manner – I never once felt out of place or too uncomfortable to ask a question. The practical tasks, though challenging, were exciting, fun to partake in, and highly rewarding!! This was without a doubt the most interesting and insightful course I have attended!!! I believe that SADTC can be described as being: Successful, Accomplished, Driven, Tenacious, and Compassionate!! Not only do they care about the welfare and emotional state of all the dogs trained with them or boarded in their kennels, but they also care about every handler. I like to think of them as family, because I always feel at home in their company – they are always understanding, helpful and supportive. I would like to thank you both for the most incredible two weeks of my life. I have learnt a lot from you. You are really two very special people. It is good to know that there are still people like you out there who also love dogs as much as I do. Dogs are amazing creatures with wonderful qualities and thanks to you sharing your knowledge I am able to bring out the best in my dogs. ALL dogs need love and to be treated with respect, we as dog owners owe it to them. I really can recommend this course to anyone who wants to make a difference in a dog’s life. This course was a life changing experience for me and you made me see dogs through different eyes. Keep up your good work! The course I did in March 2011 was absolutely brilliant. A very worthwhile and interesting two weeks. I wish all dog owners, and indeed even prospective dog owners would do it – there is so much more to dogs then the average person thinks! I have learned so much and understand so much more now and can’t thank Chris and Christine enough for doing what they do. And I hope that my dogs have benefited from everything I’ve learned and put into practice and feel the same! Anyway thanks again the course was brilliant. 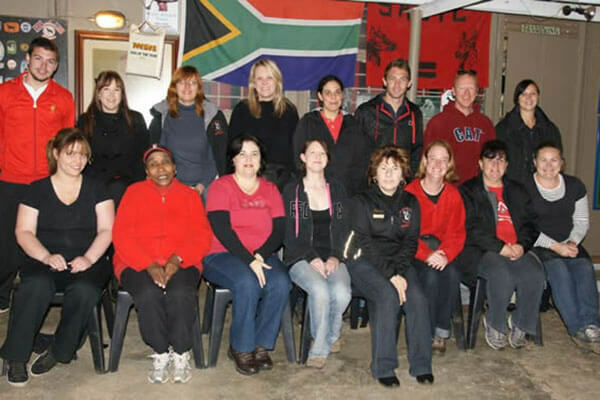 During January 2011 I came across the website of SADTC. After reading a few articles on the website I enquired about the Instructors course and was I mighty impressed with the quick response I received. This made me realize these people were serious and passionate about dog training. A few days later I contacted Christine and made an appointment to go to SADTC to meet her and get a better idea of what the course would entail. 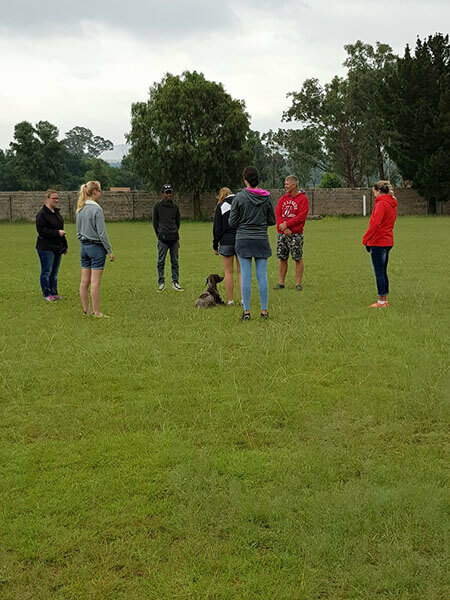 On our arrival at SADTC (which was a Saturday) we noticed several groups of people with their dogs on the field busy with training, it struck me that everything was so organized and structured and again I was very impressed. Then we met Christine a very energetic, confidant and friendly woman. She made us feel right at home by introducing us to everybody and explained to me what I needed to know. During the conversation Chris joined us, while talking to him I could see the passion he has for dogs in his eyes. That was it my mind was made up, SADTC was the perfect place for me to do my training. While walking back to our vehicle my husband told me that he had peace of mind leaving me in the capable hands of Chris and Christine for two weeks. That was yet another confirmation that SADTC was the right choice. I started my training on 5 March 2011. SADTC is a wonderful place to study the venue is relaxing and stimulating. I really enjoyed having classes outdoors. (except for the few times the weather forced us inside) The two week course was very intensive with a lot of information to absorb but every day was a new experience. The study material is of the highest quality. I learnt not to only look at a dog but to observe to think and then to act. “Go back to basics” I would highly recommend SADTC to anyone who wish to get involved in dog training and the Instructors course is a must for all who has a passion to work with dogs. CHRISTINE: I really enjoyed working with you and learning from you. You are brilliant with all dogs your ability to read a dogs behaviour is astounding. Your patience with dogs is out of this world (Referring to Turbo) you really have the interest of dog and handler at heart. CHRIS: You are an excellent teacher with an abundance of knowledge, but yet you are so down to earth. You are approachable and humorous. You can truly paint a picture with words. Thanks to you I think like a dog and their behaviour make sense to me now. CHRIS & CHRISTINE: Your Knowledge, passion, patience and professionalism made a huge impact on me and change my life forever. I really enjoyed being with you. Thank you for passing on your knowledge, for the encouragement and fun we had together. I do believe you two are the BEST in the dog training field. YOU ARE FANTASTIC!!!!!! My family and i are all doing fine, we thank God for His mercy upon us, I’m doing fine in Dog Business. So, I decided to train a dog for 2 weeks because I don’t have the facility to board dogs and I allow then to bring the dog food. But I think I will do better in future the way things are going. I want to open a pet shop in my area so that people can be buying pet items from me. Am happy to hear that the training went on successful, are you still holding the advance level in September? Pls let me know in time so that i can start my preparation right now. How is my dear Chris? Please tell Bianta and Her husby that i miss them so much. i can wait to see them by September. Tomorrow I am starting my last week at training, but that will only be the beginning of a very long journey. This is a wonderful place to study, the environment and staff is super. It’s just amazing how much one can learn about dogs in one day, so you can imagine how much that is in two weeks? I have seen and learnt so much. I will leave this place as a better person to help my people as I have always done in the past, but my understanding will be totally different. I have been taught to always put the dog first. I am attending with a bunch of dog lovers and it feels like I’m living in a dog world. We are such an amazing team, though we are from different back grounds and countries. We speak the same dog language and that is what matters. I will definitely miss the team and wonderful instructors. It’s amazing how you can make a difference in a dog’s life within such a short period. I have worked with several dogs and they are all amazing animals. 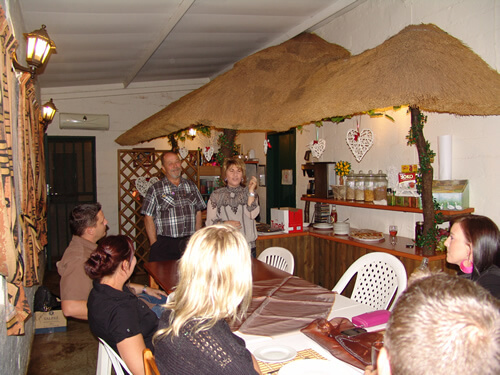 Looking forward to chat with all of you guys after the course and I will be able to give you a breakdown of the course and the two people who have made such a big impact in my life, Chris and Christine Van Der Westhuizen. KEEP A “SHORT” NOT A “TIGHT” LEASH, till we chat again. I have done a lot of investigation about people have dogs and the types. 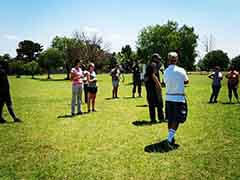 I have at hand 15 persons who have been dealing with dogs and are interested to join my classes. I have made arrangements to kick off with training next month. I got my dogs along when I went out for work. I am able now to use them in Home obedience training. It has been a nice experience introducing this home basic training to my pets. Accept greetings from my family. Something I must tell ya! One of India’s only channels for pets covered my kennel and me. For 30 mints of air time. Which went on air yesterday, people have been calling and have liked it. I owe much to you guys! Thanks a ton. Hope to see you guys again soon! Sure will be a pleasure to see ya all. Thank you guys again for fine tuning me and building my drive. All the conversation we had, was the best learning experience I have had. The Puppy and Obedience Instructors course that I completed with SADTC so many years ago, gave me a solid foundation for the rest of my career. I thoroughly enjoyed working and learning from the team at SADTC and nothing was every too much trouble for them, despite my many questions! Chris, Christine and family are an asset to the canine profession, run an excellent dog school and are, I believe, the leading authorities in the area. I can highly recommend their course. Concerning dog training, I have been giving private lessons. Although I still have a lot to learn, I am very grateful for the knowledge I now have because of your course. SADTC training methods focus on positive reinforcement but at the same time do not just pretend and/or ignore bad behaviour – many other schools are only focusing in praise and not correct wrong/bad behaviour. Also, SADTC accepts that there are pack dynamics and does not claim that the dog does not come and/or is influenced from the wolf. Many “new age” schools are now advising the dog and wolf have no connection or similarities. Also their methods make sense and are based upon knowledge and experience and clearly work. After training at SADTC for a few weeks it was abundantly clear that handlers are encouraged to keep learning about their dog, and continued experience and knowledge is important. The overall ability and knowledge of the members as a whole shows us clearly that SADTC and their members have a huge interest and a love for dogs – this is infectious and makes one want to be a better and more informed dog owner. Thanks for the assessment. I really appreciate your honesty and encouragement. I am doing well over here still teaching Swazi students. Concerning the job at our SPPC, i am very glad to inform you that I was called by the Chairman to inform me that hey have accepted my request to train their rescued dogs. I am still looking forward to that new challenge. I am enjoying some of the lessons and dog advises given in the internet. At least now, everything makes sense to me. Thanks to your course. I am also trying to follow any dog program in TV and the amazing thing is that whatever they do, it is exactly what we learned during the course. Like you have said, once I start working with dogs here, I hope to improve my handling ability. There is a program called dog cell in Animal Planet, which work with transforming or correcting behavioral problems in dogs and its amazing how the behaviours change in 4 weeks. Another one in National Geographic channel is Dog whisper, which shows how dogs are trained in the USA. It is exactly what we have been doing. I am really enjoying watching this with so much relevant knowledge! Thanks a Lot Hope to hear from you. Hello Everybody, Just to inform you all that I arrived safely and I narrated all my experience to my people. My experience with you people show how wonderful and lovely you are, I really enjoy myself and I will miss you all. Please have wonderful week. How are you and Chris? It is good to hear from you again. Below is my assessment for the instructor course. I learnt From SADTC that all dogs are the same, Good Dog Good Owner. I enjoyed the course; it was constructed and well delivered. It was a great foundation for me to start with in life. The school is a home learning, a place to be all the time. The venue is a relaxing one and a pleasant working environment. To Chris: – You are excellent Motivator, a Connector full with abundant knowledge. From you, I have learnt how to think like a dog in order to get thing right. You are my mentor, a fatherly one and forever you will be. To Christine:- You are full of wonder, a professional Instructor. A genuine, concern and lovely mother. Your ability and capacity speaks a lot about you. Your patience, your passion encourage both handler and dogs. I really enjoyed being with you, forever my heart will continue speaking about you. Thank you Chris and Christine. Also, my thank also goes to my friend Biata and her lovely Hubby Darrel, for their encouragement and hospitality during my course. You people are lovely family. I am putting all the knowledge into practice here in my Country and if I forget anything at all – I WILL ALWAYS GO BACK TO THE BASES. 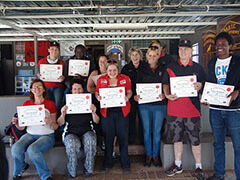 I attended the September 2010 Basic Obedience Course that was presented at SADTC where I completed the course and am now a basic obedience instructor. I had no background in this field and it was all new to me. I started off doing research on the net for the most competent training facility and SADTC came out tops. The two week course was drilling and exhausting but with all the experience and knowledge Chris and Christine had to offer, two weeks felt to short. There were so many bases to cover from raising your pup, diseases, as well as poison proofing and this was only the technical side of things. 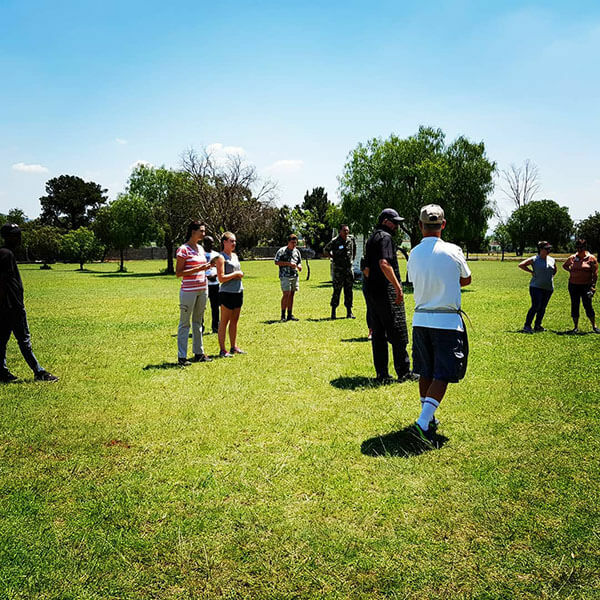 We still had to attend the practical, have first hand experience on how to present a class and how to handle difficult dogs as well as owners. Every day was a new experience, a new learning curve; there was never a dull moment. Both Chris and Christine have been in their field for many years and they had all the experience on the do’s & don’t, previous harsh methods used and what’s the better option in today’s day and age and why? There wasn’t a question they couldn’t answer, a dog they couldn’t train. I was in awe of these two people. 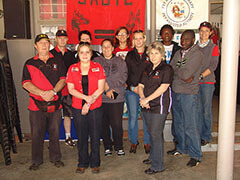 SADTC facilities are clean, open and friendly. A very relaxed environment, where you could just let your mind wonder to the possibilities and take in as much information as possible. 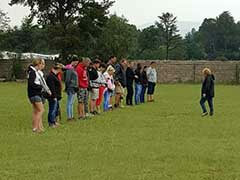 I highly recommend SADTC, not just to take your dog for training but also if you are keen on becoming an instructor. Go for the best in the field you won’t ever look back. I didn’t just learn about dogs and training, but I also became part of a family. Well honestly, there’s not much I didn’t like, so this is a short bit…Very short, because I loved it! I took this course because I wanted to find some way to help Leah and my other dogs, and I’ve walked away with so much knowledge, I’m still trying to absorb it all! Thanks to Christine and Chris I have learnt to be more observant, to really look at a dog, look at his body posture, his handler’s body posture, and then to connect all the dots. Needless to say, that’s a skill that I find myself using with people now, because I’ve been taught to really look, and not just glance. For me, Christine and Chris are the closest to dog whisperers I think I will come across in my life. From Chris I learnt how a dog thinks, what motivates (and de-motivates) him and how to understand him, and from Christine I’ve learnt how to read body language, how to speak to a dog and how to communicate with the handler… If I heard “don’t solve the problem, solve the cause” once, I heard a thousand times, but it must have sunk in at number 970, because I find myself trying to do it with every dog I see! Christine and Chris you both answered every question patiently, even for the 10th time, and not once did I ever feel that you guys were getting impatient, despite how slow I was learning!! I’ve seen more than a hundred dogs on your training grounds on a Saturday, and not once have I seen a dog humiliated, hurt or yelled at … They all come in for some “school”, their tails are wagging and you can just see that they are having a ball! And that’s thanks to you guys … Thank you so much for one of the best experiences of my life! Chris is an excellent teacher with an abundance of knowledge regarding every topic dog-related. He humbled the entire class with his passion for dogs and his genuine concern for what is in the dog’s best interest. He was professional at all times, while remaining open to opinions & suggestions and his humourous, down-to-earth attitude made the lessons more interesting and understandable. Christine is brilliant with any and all dogs. Her ability to recognize and react to a dog’s mood or behaviour is so interesting. She has a genuine concern & love for dogs and people. 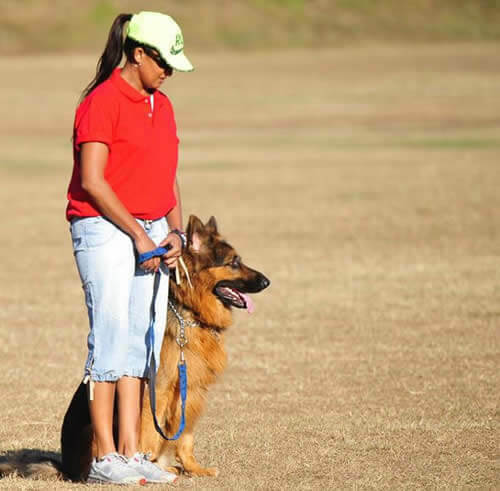 She is excellent practically and is able to teach inexperience handlers & beginner dogs in a short amount of time. Her patience along with her passion to aspire handlers & dogs makes her so successful. 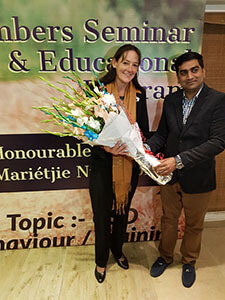 She was professional throughout the course, while remaining approachable & humourous. 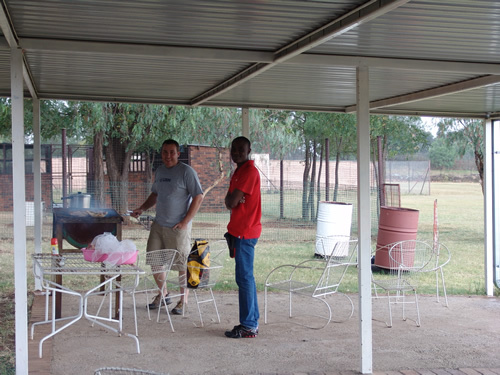 The venue was relaxing and it was pleasant working outdoors, the tuck shop was also very useful. Overall the course was insightful, interesting, kind & motivational. The most valuable information I learnt was how to read the different behaviours of dogs and realizing how little mistakes can make a big difference. Chris & Christine are very knowledgeable. I enjoyed both the theory and the practical. I thoroughly enjoyed the course, the topics were really interesting and there was just so much to absorb. Thank you to Chris & Christine for passing on all their knowledge and experience. I also enjoyed all the practical sessions working with the different breeds and learning their characters. I learnt that all dogs are the same inside and to never discriminate against any breed because a dog will be what you make it. Also to never listen to housewife’s tales. I enjoyed Chris & Christine’s presentations. The presenters knew the subject matter very well and the presentation was excellent. (Mduduzi is from Swaziland and has a BSC in Agriculture, he had never worked with any dogs before. He is now planning to open up his own training school in Swaziland. 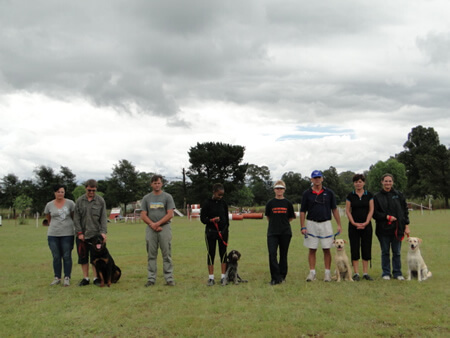 I think the course was well constructed, well delivered and an absolute must for all dog lovers. A great base to start with. I have learnt from Chris & Christine to think like a dog. Love, patience, care, bonding, etc. is very important. Chris & Christine were very good, I am amazed at how good they are and I hope to be that good some day. The venue was very good, everything was amazing. I loved the protection work display. Chris, Christine you are 2 amazing people, I look up to you. I thought everything was fine, the information was always given in such a way that everyone participated, which kept it interesting. 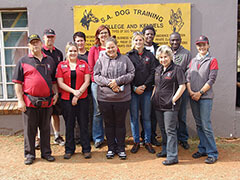 I have been blown away by S.A. DOG TRAINING COLLEGE. The people are amazing; I have no suggestions as I think it is perfect! This was a highlight of my life, to have met awesome people and learn so much about one of the animals I adore. Thank you very much for your time, effort and understanding during the course, I would love to find out and learn more. 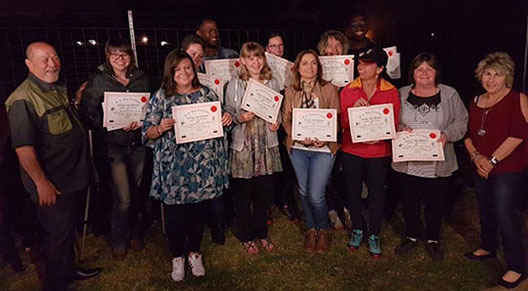 Information and practical experience given throughout the course was an excellent way of laying down a foundation of knowledge to be able to start our own dog training club. The only “downfall” that I found was that the afternoons with the theory felt a bit long. Even though Chris spoke with great enthusiasm, I thought that if you could somehow manage to sometimes maybe have the theory class in the morning and practical in the afternoon. I am very satisfied with the course and the information supplied to us. And will definitely come back for more! 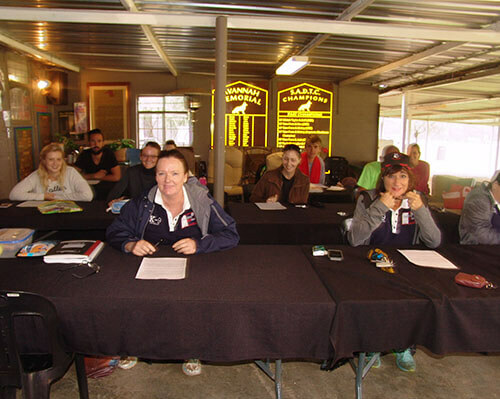 When I left Ladysmith to attend your course I thought I had a great love for dogs, but when I returned I loved and respected them even more because I understood so much more. I can’t wait to start educating my fellow dog owners so that they may also experience the same love and respect for their companions. Thank you to both of you (Chris & Chirstene) and to Biata and Darrel for your laughs and support and sharing of knowledge! You are the perfect family and absolutely my role models! I also hope to get my practical assessment from you soon! Thanks for the good words! It is great too hear coming from you, I sure will bug you if I feel I am stuck with something. Like I said “I think your course was not only puppies and home obedience, but much more. I think you should rename this course like “The dog instructors bible” because that is what it is. One can branch out into any field of training from here, but this is a must do. Hope to work with you again soon. See ya just now! My journey started on the day we contacted you stressed about Somoya growing up and having me for breakfast and you went out of your way to assist me with the problem. The first day I arrived at the college I never could dream what was lying ahead. My whole life changed there and then. I made a decision which at the time I did not realize Was going to be such a rewarding intense decision. I have always wanted to do something for the animals but was not sure what now I knew this could be the way to do it And I thought “this is easy and rewarding”, well was I in for a surprise. I continued my training with Somoya and enjoyed it but my actual course started with SADTC on the 5/09/2009 and it was amazing from the first day forward, even though the course was very intense I really enjoyed every minute of it and have never had such an interesting experience every day I just wanted to learn more and more, leaving today wondering what I will learn tomorrow and you did not disappoint me one day. I have always loved animals but the last couple of months, particularly the course, has opened my eyes as to why I love animals. I always thought it was because they are cute and furry but It is because they are such amazing animals and you both have helped me see a different side of them Thank you so much for the wonderfull experience and for making me aware of what I did not know and realised, I learned so much from you both and hope that you will continue sharing your Expertise with us and others. The seminar was brilliant, 10/10 for the subjects presented. your knowledge on behavior and training is astounding. The venue was great, 8/10 a few more comfortable chairs would be great. I would most definitely attend more seminars, I think you guys are exceptional presenters. What I like about you guys is that you talk normal language, and make it easy to understand. Also if I didn’t understand something you were more than willing to show and discuss things with me. If anyone ever ask me where I learned the most on behavior it would be from you guys. I think all the people that study ethology must attend your seminars, you guys put everything into perspective. I would like to say this course was intense, and maybe recommend that when you do another 1 that you give the guys a bit more time off. maybe a Sunday afternoon. thank you guys for everything, you made me realize that it’s not just a job, it is a lifestyle. I thank God that I met you guys, you gave me confidence and something to work for and believe in. I wish maybe 1 day to have just a little bit of your knowledge and drive. 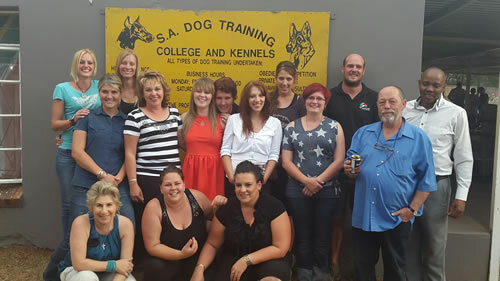 SA Dog Training College is AMAZING! I’ve completed the instructor course level 1 and can’t wait to complete level 2 and 3. Their knowledge is incredible. I highly recommend SADTC. I wanna share that story with you I can’t stop smiling! My girl Sheela before we went for a course was the sweetest teddy bear love everybody , especially my landlords when I’m not at home working long dbl shift at a restaurant they use to play with her teaching her bad habits like jumping on ppl and eat from the ground. I was no happy about it but nothing I could do I work hectic hours… Since we back home from the course my girl is changed! My landlady told me Sheela does not come out of cottage when I’m not at home and today was classic – I’m at work , my landlord smsed me and ask if he can come in to my place and fetch something I say yes of course ! Is normal I’ve been living there for 9 years I trust him! 5min later my landlord sms me saying: “little S#$t (Sheela) growled at him and won’t let him in!!!!! ” Lol. I just wanna say THANK YOU SO SO MUCH!!! You work is amazing! I wanna continue protection work with my girl I think she gonna b amazing! I just wanted to let you know that Phillip is with X at X in X. I dropped him off there this past weekend. He is doing his DH course as well and getting lots of experience. He says yesterday a guy came to give them some extra training and this was someone who jumped out of an airplane with his dog! He was so excited and awed. He says the course material is very tough.. I just wanted to thank you and Chris again for all that you have done for Phillip. 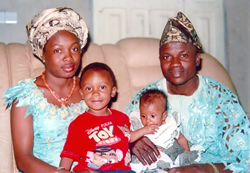 He absolutely blossomed and found purpose and passion and it was thanks to you both. You made such a huge impression on him and he looks up to you. I can never say thank you enough. I hope you have a lovely day. Let’s do a Level 4! The training is going so amazing. Once you have had your eyes opened by people like yourselves it’s very difficult to turn and not try change the world. I cannot even begin to tell you how many dogs have come my way “ you are their last chance ” type of comments and I’ve got them back to being the best dogs they can be and it’s humbling to be able to rebuild the relationship between them and their owners It’s beautiful. I have 88 dogs I deal with now and still love every minute of it. 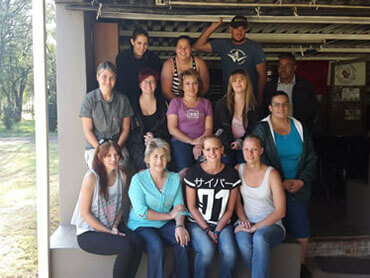 Weereens wil ek julle bedank vir die fantastiese kursusse wat julle aanbied en die manier waarop julle studente toerus om selfversekerd kennis oor te dra en so ons passie “honde” te bevorder! Nóóit het ek gedink dat dit wat ek 3 jaar terug by en van julle geleer het, eendag in Pakistan van waarde sal wees nie! Looking forward to Level 4. The course was fantastic, learnt lots of new ideas, excellent experience, enjoyed every moment of it! I would rate the course a 10, we need more courses like this. The courses are fun and awesome and I will be back for more! I always really enjoy your dog training courses, especially the practical’s. It is great to build a relationship, knowing that we can refer back to your knowledge and expertise when we get stuck.